Lahara, 1977, drum solo (with melodic and drone accompaniment). 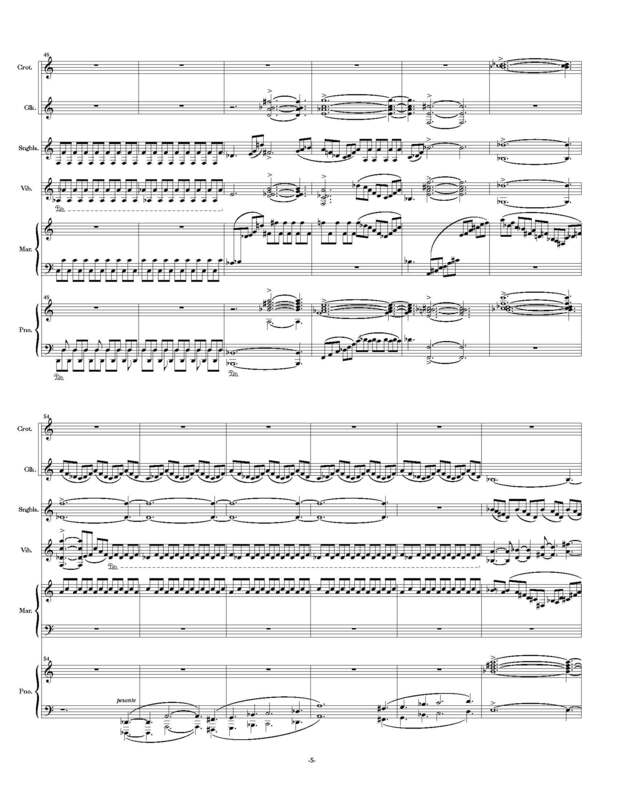 Published in 2003 by Keyboard Percussion Publications. Palta, 1982 (revised 1998), tabla or drum set solo, with accompaniment by six percussion, piano and bass. 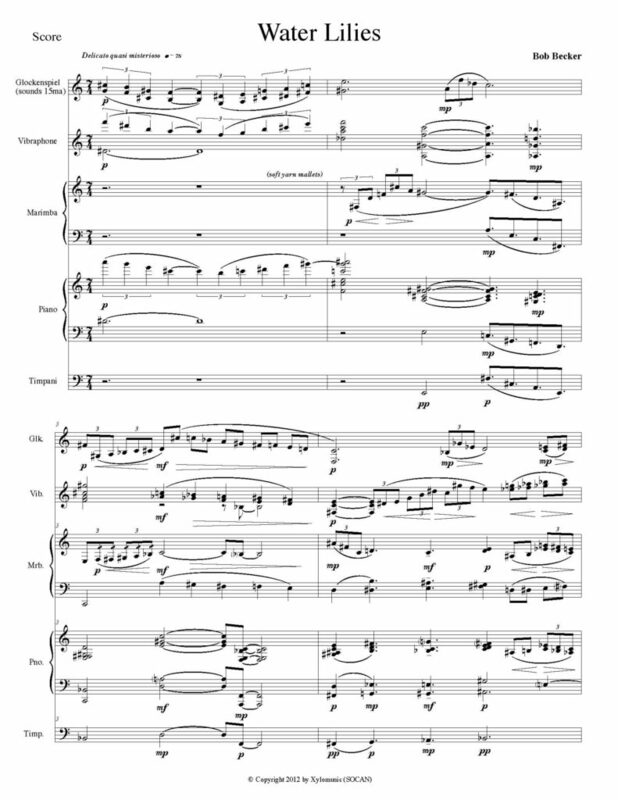 Recorded by NEXUS on Dance of the Octopus (CBC Musica Viva). UrbhanaMudra, 1990, four percussion, choreography by Joan Phillips. Commissioned by INDE ’90 and premiered 1990, DuMaurier Theatre Centre, Toronto. Awarded the National Arts Centre Award for best collaboration between composer and choreographer, 1990. Mudra, 1990, five percussion. 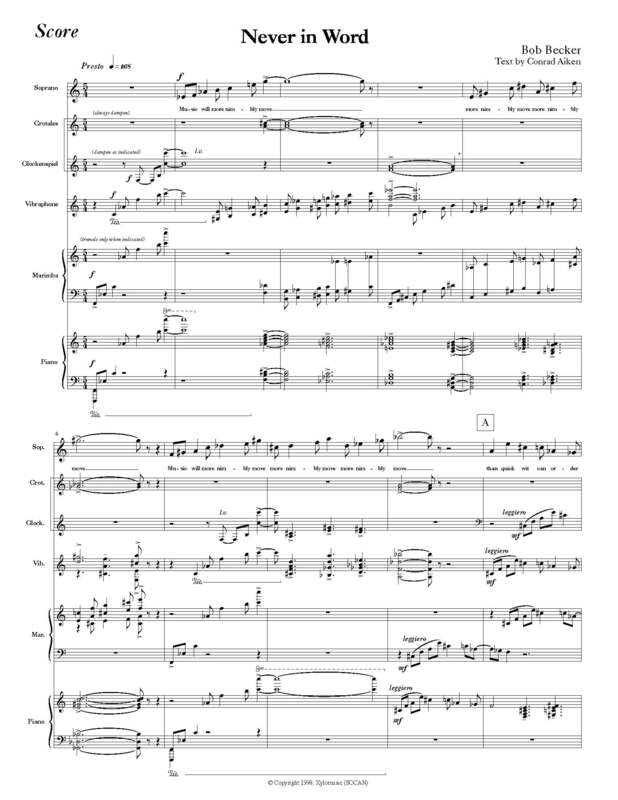 Reorchestration and edited concert version of UrbhanaMudra. 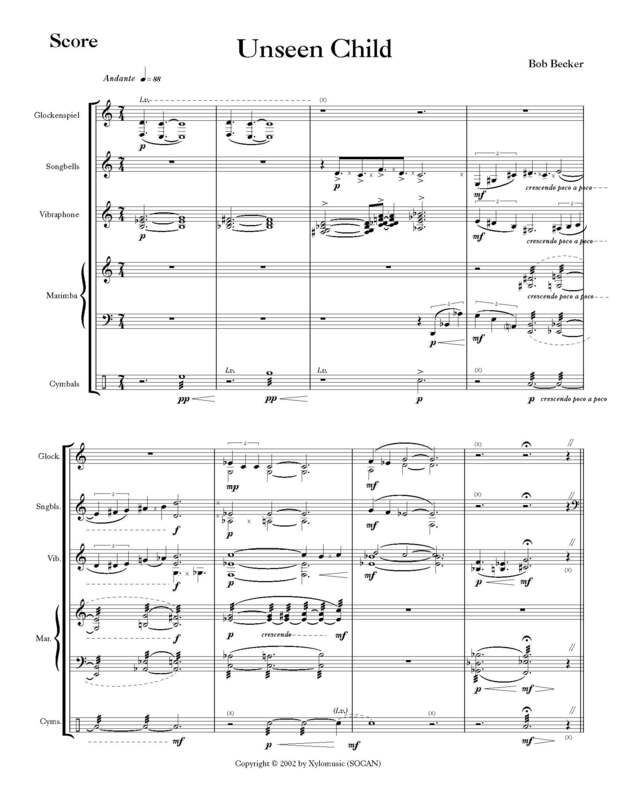 Premiered 1990, Percussion Ensemble of The Royal Conservatory, The Hague, Netherlands. Recorded on There is a Time (NEXUS). Prisoners of the Image Factory, 1992, vibraphone, marimba and piano. Premiered by Arraymusic, 1992, Premiere Dance Theatre, Toronto. Recorded on There is a Time (NEXUS). Noodrem, 1992, four percussion and piano. Commissioned through the Canada Council by Slagwerkgroep Den Haag. Premiered 1993, The Hague, Netherlands. Recorded on There is a Time (NEXUS). 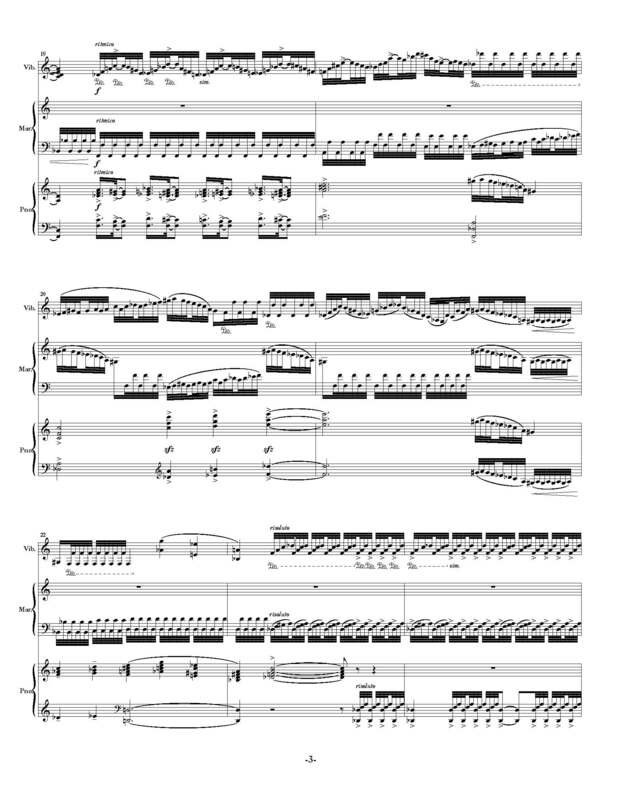 Turning Point, 1993, four percussion and piano. Premiered by NEXUS, 1993, University of Northern Iowa Artists Series, Cedar Falls, Iowa. Recorded on There is a Time (NEXUS). There Is A Time, 1994, vibraphone, marimba and piano, choreography by Danny Grossman and Rina Singha. Commissioned by Danny Grossman Dance Company and Rina Singha. Premiered 1995, Premiere Dance Theatre, Toronto. Recorded on There is a Time (NEXUS). Cryin’ Time, 1994, soprano solo, vibraphone, marimba and piano. 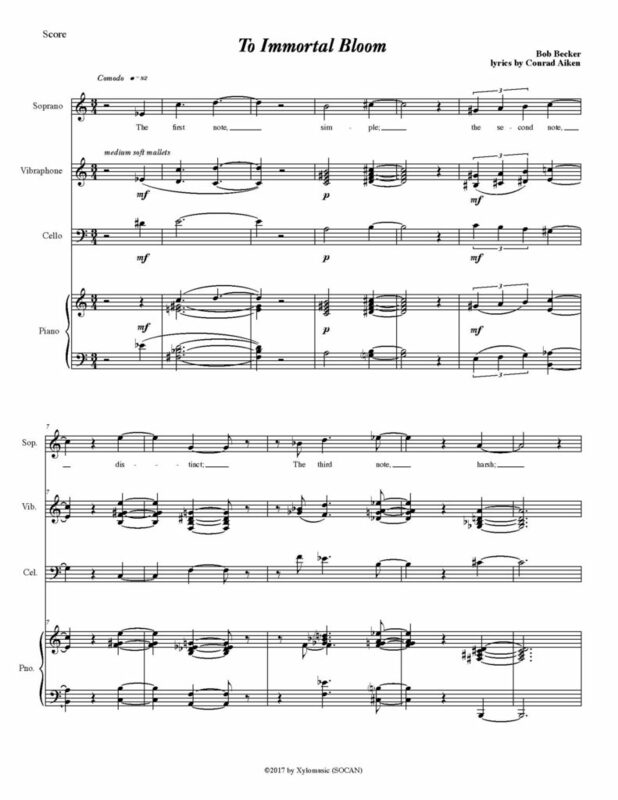 Premiered 1994, Barbara Hannigan, soprano, University of Toronto Faculty Artist Series, Walter Hall, Toronto. 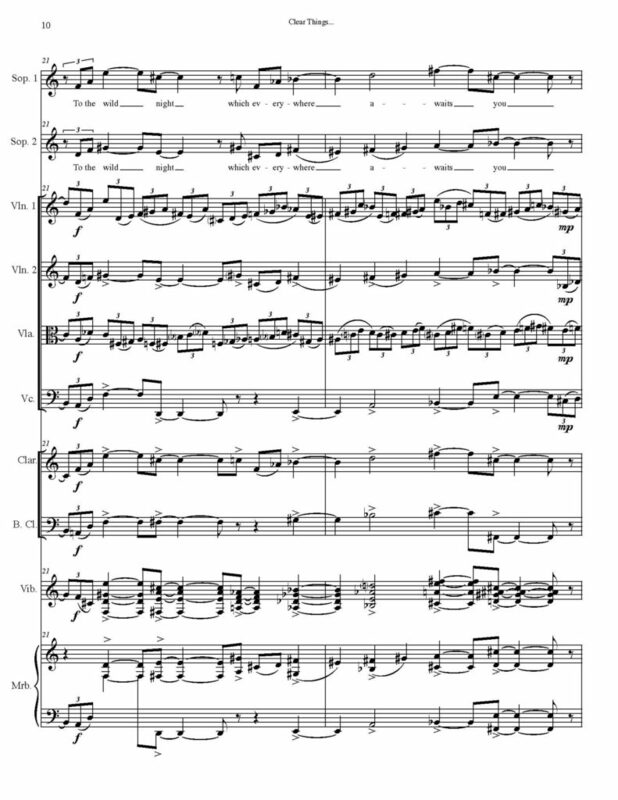 Recorded on Christopher Norton – Creston Concertino (Alabaster Music). Music On The Moon, 1996, full orchestra or chamber orchestra. Commissioned through the Laidlaw Foundation by the Esprit Orchestra. Premiered March 23, 1997, Esprit Orchestra, Alex Pauk conducting, Jane Mallett Theatre, Toronto. United States premiere May 2 and 3, 1997, The Virginia Symphony, JoAnn Falletta conducting, Norfolk, Virginia. New-thaan, 1998, drum solo (with melodic and drone accompaniment). Published in NEXUS Portfolio for Snare Drum, by HoneyRock Publishing. 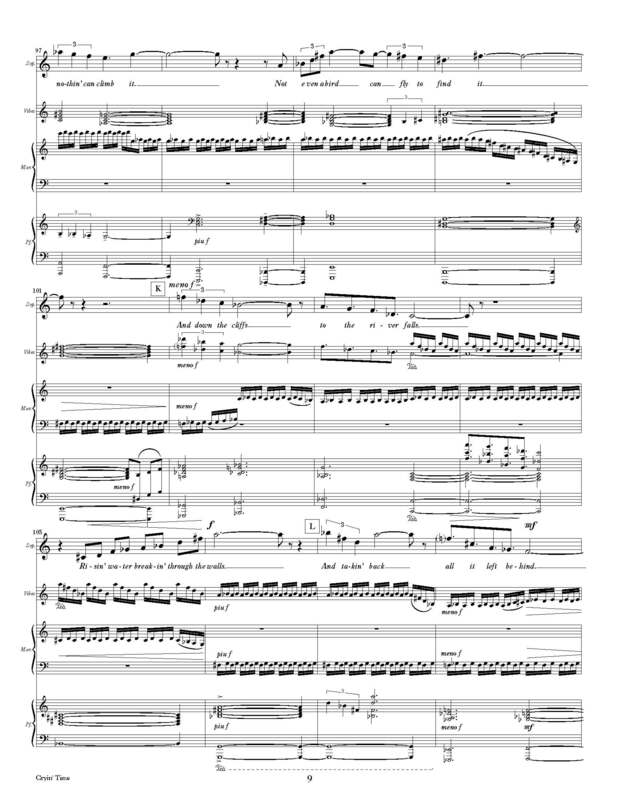 Never in Word, 1998, soprano solo, crotales/glockenspiel, vibraphone, marimba and piano. Premiered 1999, Barbara Hannigan, soprano, University of Toronto Faculty Artist Series, Walter Hall, Toronto. Unseen Child, 2002, five percussion. Premiered by NEXUS, 2002, University of Toronto Faculty Artists Series, Walter Hall, Toronto. Recorded on Wings (NEXUS). 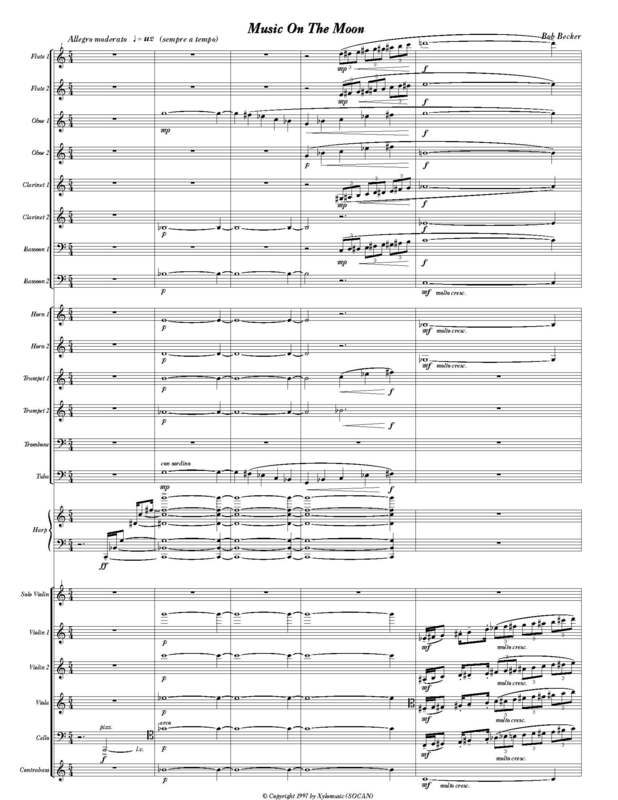 Time in the Rock, 2004, for narrator, 2 sopranos, 2 altos, string quartet, piano, vibraphone and marimba. Text from poetry by Conrad Aiken. Time in the Rock has yet to be performed or staged. For more information about this work, view the NOTES. 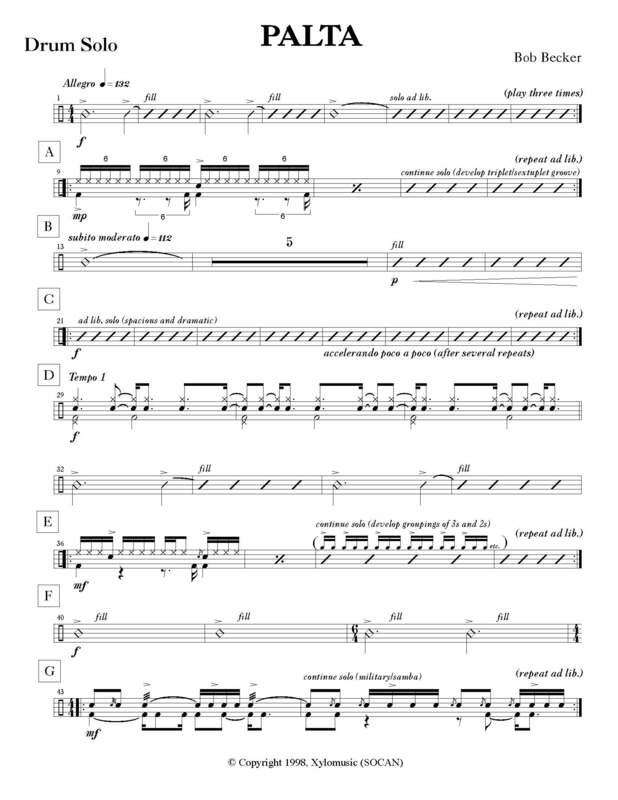 Eight Etudes, 2006 – 2007, for solo snare drum. 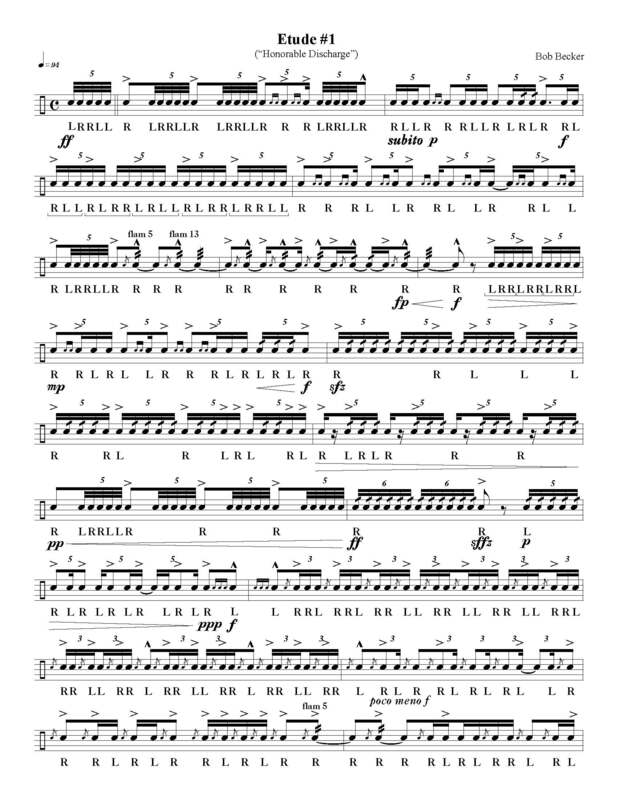 In Rudimental Arithmetic, Keyboard Percussion Publications, 2008. 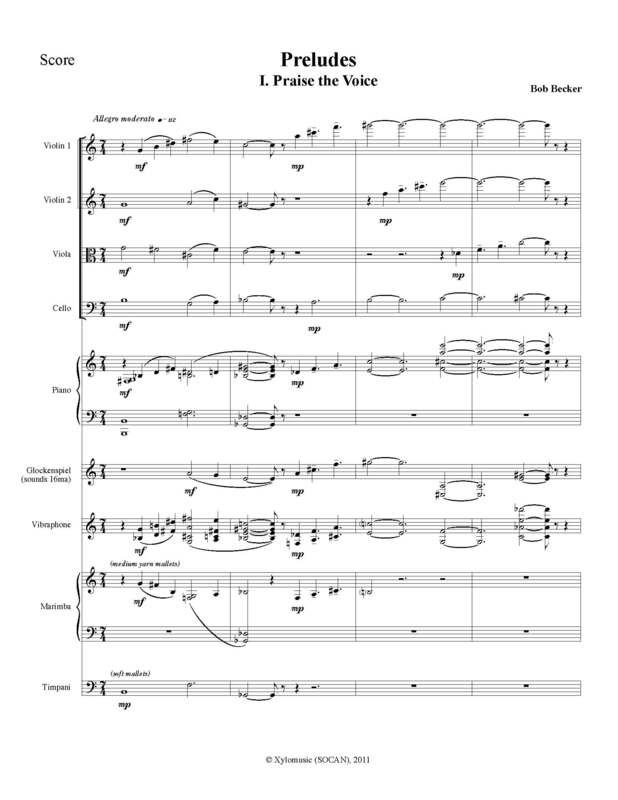 Preludes, 2010, for string quartet, piano, glockenspiel, vibraphone, marimba and timpani. 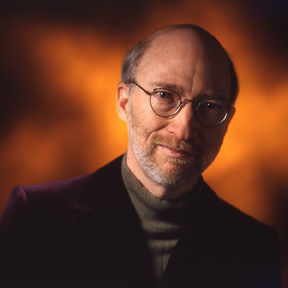 Commissioned by The Banff Centre for the Arts and premiered in August, 2011 during the Roots & Rhizomes Percussion Residency, Steven Schick, conductor. Two movements: I. Praise the Voice, II. Escape the Pattern; total duration approximately 20 minutes. 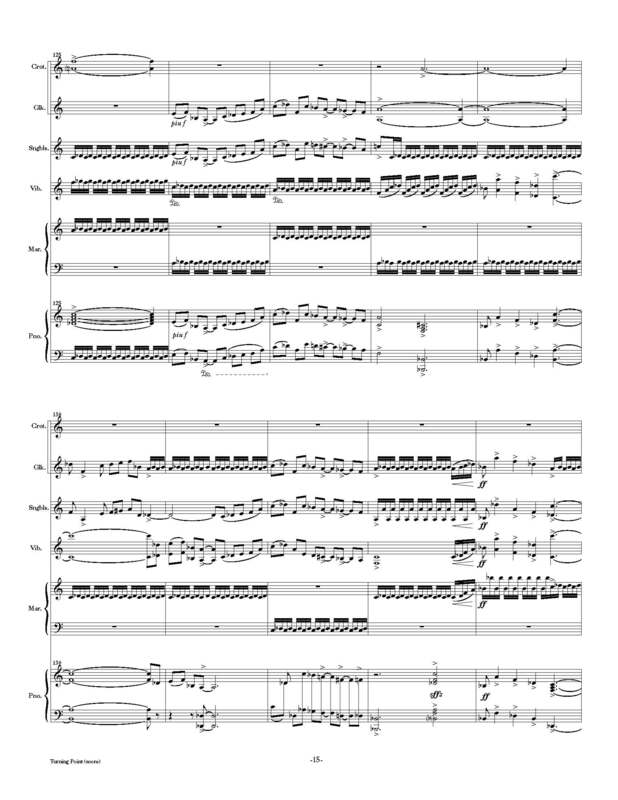 Water Lilies, 2012, for piano, glockenspiel, vibraphone, marimba, and timpani; total duration approximately 11 minutes. To Immortal Bloom, 2017, for soprano, vibraphone, cello, and piano; duration approximately 7 mintes. Published by KPP. 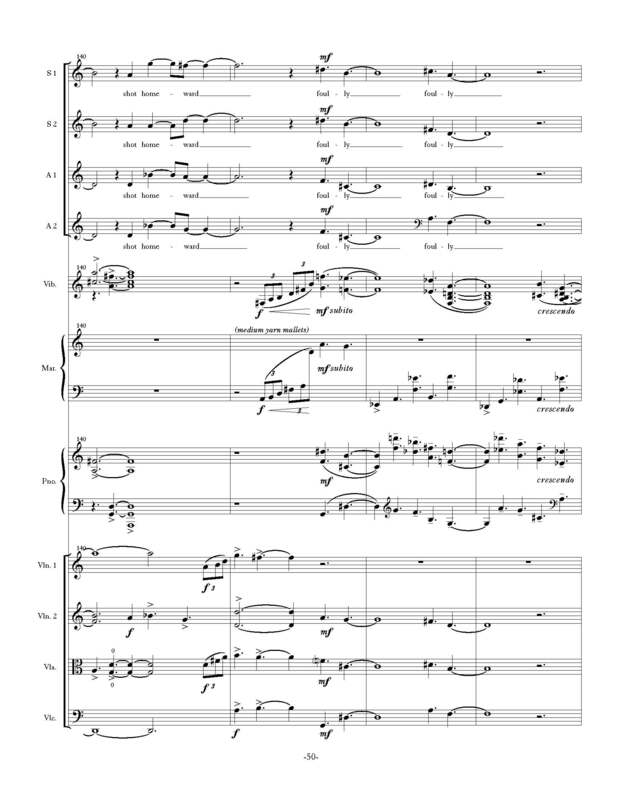 Clear Things May Not Be Seen, 2018, for 2 sopranos, string quartet, clarinet, bass clarinet, vibraphone, and marimba; duration approximately 13 minutes. For information regarding performances of Music On The Moon, There is a Time, Time in the Rock, and Preludes, contact Mr. Becker directly through this website.